Scooters are a kid’s best friend while growing up. They can set out on an adventure by riding it. 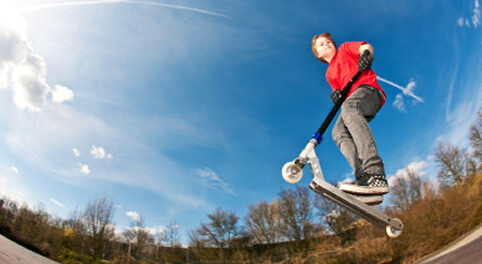 A good quality scooter is a witness to many wonderful childhood memories. Buying kid’s toys or rides can be a tactical task, as you need to buy products, which are visually appealing and will ensure good quality as well. They have different distinctive features. 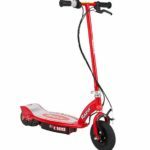 We are here to give you an insight into the best and top-selling scooters on the market so that buying the best ride for your child will be a fun experience. This scooter does not require electricity to work. Kids need to push or kick the ground to move with it. These rides like Yvolution scooters are suitable for kids from the ages of five to fifteen and above. Different brands have different weight withstanding limits, but in general, they can take a load from 130 to 150 pounds. The rides themselves weigh from 5-15 pounds; this lightweight feature makes them perfect for a smooth and fast ride. The decks are made from durable plastic while the tubes are mostly made from aluminum. Scooters have either two or three wheels; three wheeler ones give more stability. As for the wheels, they are built from high-quality materials, which can tolerate stress and reduces friction. Effective front brakes and rear suspension make your kid’s ride a safe one. A few of the models can also be folded. This feature is highly helpful as you can keep them in a small space. If you want your kids to explore the roads without stressing their legs while pushing, electric mopeds are the best options. There are various electric mopeds available in multiple vibrant designs; however, most of the good ones have similar features. They have powerful, long-lasting rechargeable batteries. The batteries on average run for about 40 minutes for most of the electric mopeds. The decks are made from sturdy plastic materials while the tubes are built from rust-free aluminum. Many electric mini-bike models have seats as well, and they are soft and cushiony. Most of the electric scooters can speed up to 15 mph. They have flexible throttles and rear brakes to control the speeds and direction. There is a variation in tire materials as well – rubber, plastic, and polyurethane are used in tires. Rubber tires are the best ones, as they can tolerate more wear and friction and ensure a smoother ride. 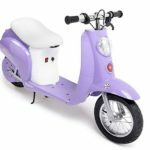 At the end, while buying, don’t just look for the right features, look for a scooter which is suitable for your kid’s size and age, only then can your kid genuinely enjoy riding the electric moped. Razor Scooters are one of the most trustworthy and reliable brands for electric mopeds. Since 1999, they have been in the market, satisfying millions of kids and parents with their delivered quality. They have a variety of different models in their collection, and just like most electric mopeds, they have a compact folding system. Aluminum and plastics are used for building the tubes decks. Stylish designs amplify the ride’s appeal. 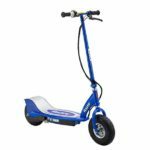 I am in a process of reviewing the Razor E100 scooter, but I can already tell that it is one of the best electric mopeds for ten year olds. Along with being visually stylish, the Razor E300S scooter is also praised for its big size. Its extra big deck space makes it suitable for kids of any size or age group. However, it is recommended to be used only by children of 12 years and above. It has a cushiony seat that is easily detachable, a motor that can speed up to 15 mph, and a twist grip for acceleration control. The battery can run the moped for 40 minutes at a stretch. It is the perfect companion for your kids. The Razor Pocket Mod electric scooter is not just functionally great; it also has an eye-catching design. 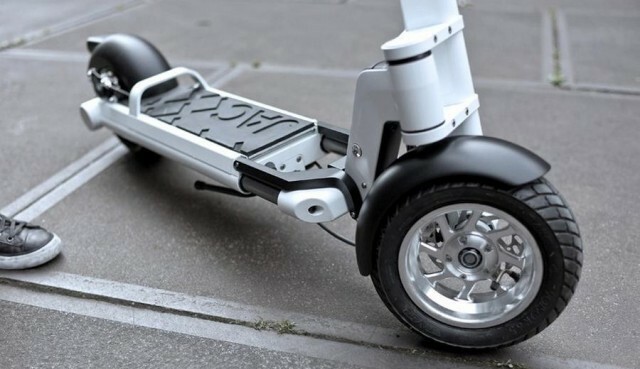 It is run by a chain driven electric motor and the rechargeable battery can run it for 10 miles on a single charge. Teenagers older than 13 are the designated riders of this scooter. 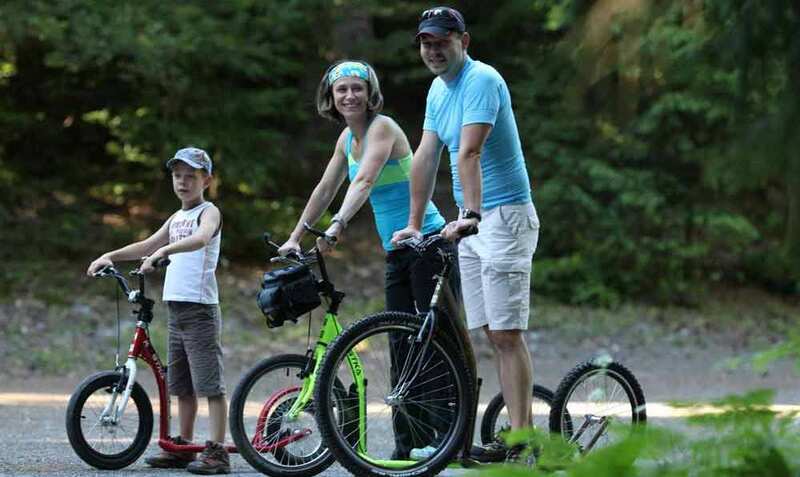 It can hold children weighing up to 130 pounds, and its pneumatic tires ensure a smooth journey. It also includes a fabulous compartment under the seat.